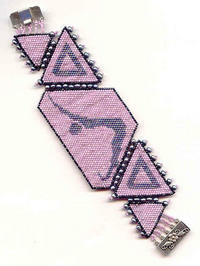 Here's a spectacular one-of-a-kind beadwork bracelet ANY woman would be proud to wear. The beadwork bracelet is composed of five panels, each made of tiny cylinder beads laboriously -- not to mention lovingly -- stitched into place one at a time. It's flanked by four triangular panels. Dusty rose provides a muted background for the razzle-dazzle of the iridescent grey of the figure. 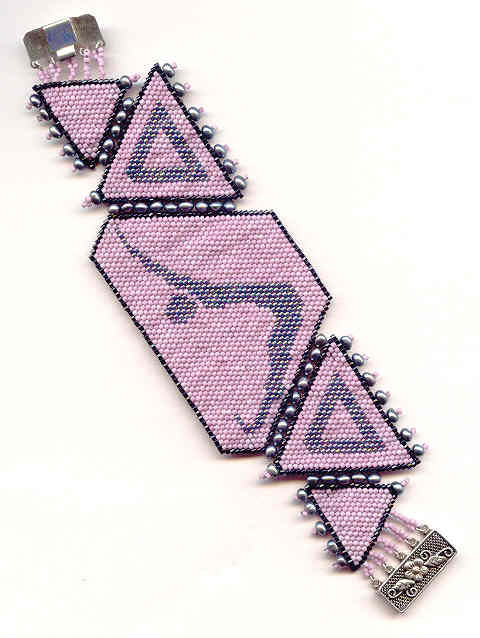 All 5 panels in the 7-1/2" bracelet are edged in opaque black cylinder beads, and the triangular panels are partially embellished with iridescent grey freshwater button pearls. 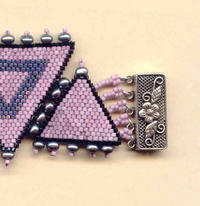 The beadwork bracelet closes with a sterling silver floral-motif box clasp. 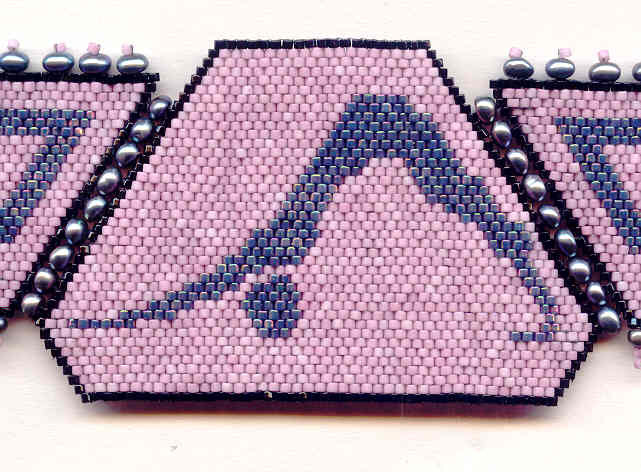 This beadwork bracelet is a grand gift for the lady who's into yoga, or for anyone who appreciates the unusual. The pale rose Czech lampwork beads in this necklace are absolutely aglitter with silver foil. Pale aqua amazonite beads and drops and light rose faceted glass provide a demure contrast to the focal.